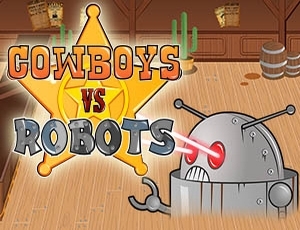 Fend for your life and take out your pistol in Cowboys VS Robots. Take the commands of a Cowboy heavily armed and push away a robot invasion in this shooting game. Through multiple levels that will get harder and harder, challenge your reflexes in this shooting game. Destroy your enemies and get all the stars with the best score.